Mohsen Moheimany is a doctoral researcher at the School of Law and Government, Dublin City University, Ireland. He holds an MA in Public Policy from Nottingham University, United Kingdom (2012). His dissertation was titled ‘An evaluation of the role of NGOs in public participation in local policy making in Iran’. 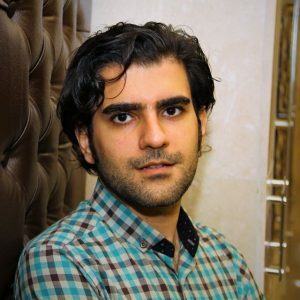 His current PhD research is titled ‘Identifying Political Opportunities in Iran: Systematic variation in policy networks – the cases of women – rights and environmental-protection advocacy NGOs’. The trajectory of confrontation between civil society and state in Iran has gone through different stages of contestation and conflicts during the last five years. The current Iranian political system, the Islamic Republic of Iran, as a hybrid regime, creates political opportunities for advocacy NGOs depending on the level of government, the policy sector, and the ideology of the national presidency. Variations in these factors create fundamentally different types of policy networks in different policy sectors, which present advocacy NGOs with different constraints and chances. Within every policy networks, there is a different scope for political entrepreneurship by advocacy NGOs to change the policies in a given sector. The policy actions and influence of advocacy NGOs within the policy sectors vary depending on the type of policy network in the policy area, which is largely set by the three factors mentioned above. This argument is sustained by case studies of policy networks at local and national levels, the women-rights and environmental-protection policy sectors, and across the politically Liberal government of Khatami (1997-2005) and the Conservative government of Ahmadinejad (2005-2013). 2013/2014: Tutor for ‘Research Methods’ module, 1st years BA students in International Relations.